Renzo Martens spent two years in Congo travelling and filming with his video camera and at the same time questioning the importance of the UN troops and other charitable organizations in this country. Episode III manages to take the pretentiousness away from this rather ‘embarrassing’ ethical issue for the West, by cutting through layers of media saturated clichés, not in an attempt to offer solutions but in order to reconfigure the premises of Congo’s multi-complex problems. 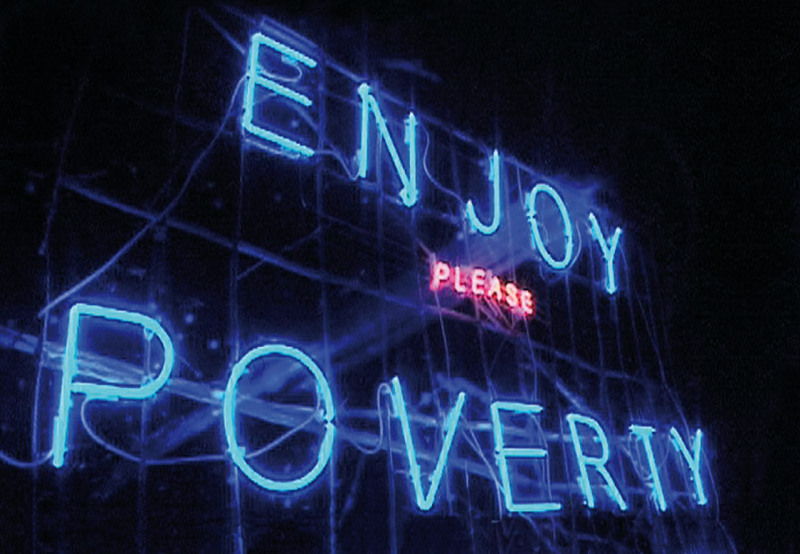 In a time when, in US alone, the money donated towards the salvation of the banks, could sort out the world’s poverty, the release of this Dutch visual artist’s documentary could not be more justified. In this revolutionary, provocative counter-documentary, Renzo Martens smartly allows the camera lens to play the role of the border between exploiters and exploited, between the West and perhaps the rest.